The Attalos Hotel, situated in the historic district of Athens, has a history of its own. 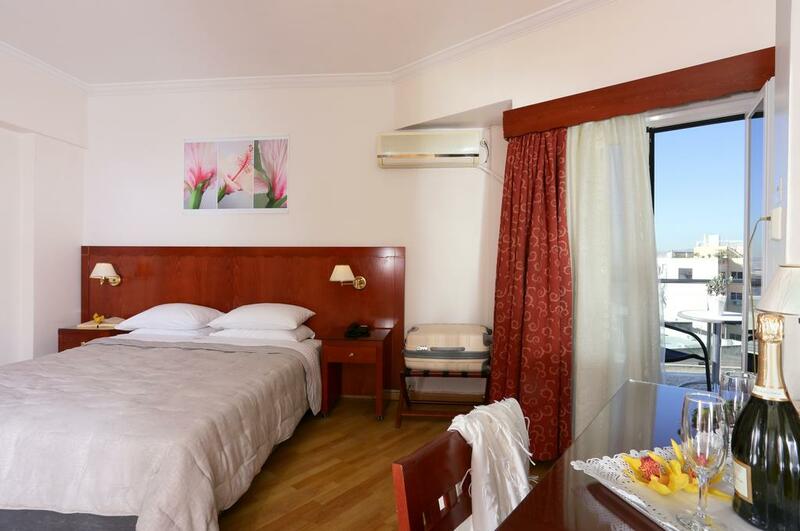 With its tradition of classic, comfortable accommodation, a friendly staff and atmosphere, Attalos has created a name among a host of international visitors and repeat guests. Ideally located for sightseeing, discovery, shopping and entertainment, the Attalos is just a short distance from the Acropolis, Ancient Agora, the Plaka, an enchanting neoclassical neighborhood, the oldest area of Athens, with its artistic flair, shops and cafes. Monastiraki, the flea market and bazaar, and Psiri, the hub of Athens nightlife, with a variety of restaurants and cuisine, bars and clubs. Non kosher hotel but is within walking distance (10 minutes) Chabad s kosher restaurant, and 8 minutes walk from Beth Shalom synagouge. 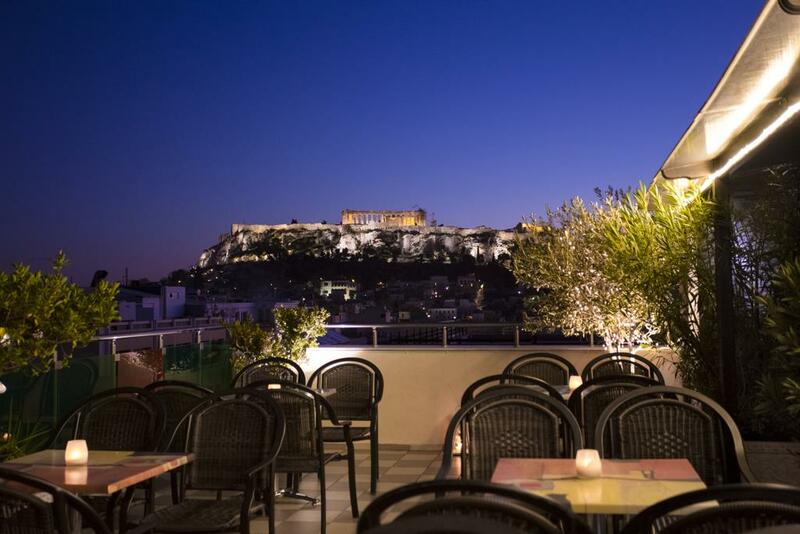 All 78 rooms are air-conditioned and fully equipped and the charming roof garden/bar provides the perfect setting for enjoying a spectacular view of the Acropolis. Ideally located for sightseeing, discovery, shopping and entertainment, the Attalos is just a short distance from the Acropolis, Ancient Agora, the Plaka, an enchanting neoclassical neighborhood, the oldest area of Athens, with its artistic flair, shops and cafes. Non kosher hotel but is within walking distance (10 minutes) Chabad׳s kosher restaurant, and 8 minutes walk from Beth Shalom synagogue. 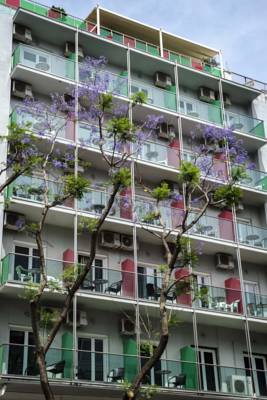 78 rooms, all with Air conditioning, central heating, direct-dial telephone, Satellite TV, free WiFi access internet (in every room and in all public areas), mini refrigerator, safe box, private bathrooms (shower or bathtub) with hair dryers, slippers, bath amenities and daily housekeeping. 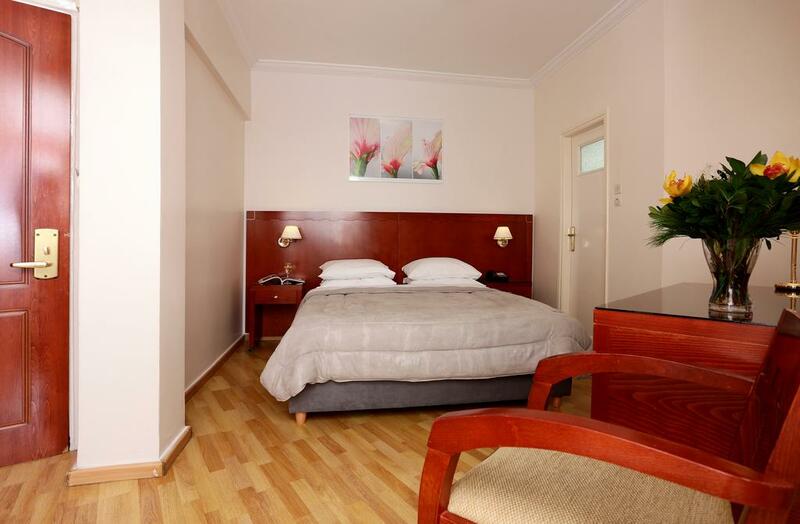 Hotel Attalos is located in the center of the Athens, at Athinas Street. 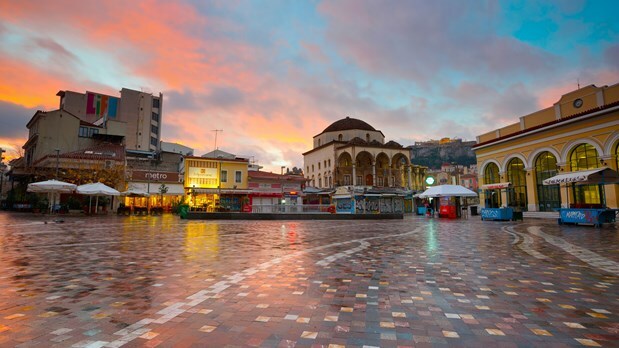 Athinas, a lively street, is at the heart of the city extending from Monastiraki to Omonoia Square and captures the sights, sounds and local colour of downtown Athens. The Attalos Hotel is conveniently situated for easy access to Athens most important historical monuments, shopping districts, as well as restaurants and café-bars, giving you the chance to enjoy Athens famous nightlife. The Hotel is 2 blocks away from Monastiraki Metro directly to the Airport and also the underground station going to the port of Pireaus or anywhere else. Less than 10 minutes walk distance to Syntagma Square (Parliament, National Garden). 5 minutes walk distance to Ermou street, shopping area and Flea Market. 15 minute walk distance to the top of Acropolis Hill and New Acropolis Museum. 5 minute walk distance to the Plaka. 3 minute walk distance to Psiri Square. 15 minute walk distance to the National Museum. Even if you are not interested in archeology, do not miss the hill of the Acropolis, the remains of the temples of Athena that testify to all the splendor of ancient Greece. At the top, you will enjoy a breathtaking view. A flea market which on Sunday becomes crowded with chalans displaying their merchandise or strolling and exploring antiques ranging from small souvenirs to antique furniture. 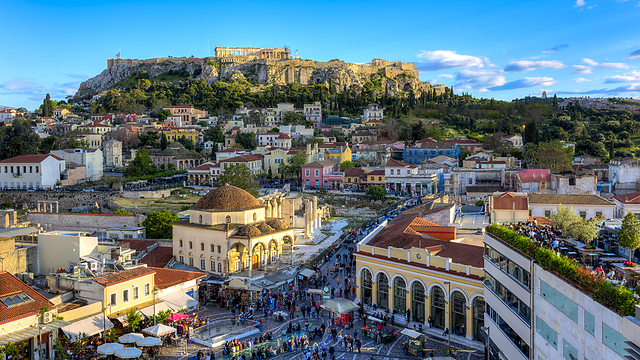 A few steps away, you will find the central market of Athens. It is the central square of Athens, where the Parliament building is located. There are permanently two stationary guards in traditional uniforms. This guard is raised every hour. 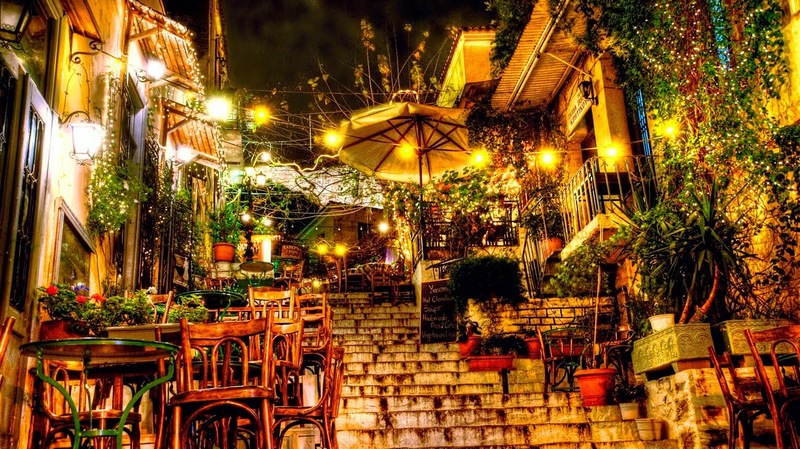 If you want to experience the traditional Athens visit Plaka. It is an area built of small pedestrian streets and small alleys where you will find shops, souvenir shops and authentic taverns. Take time to get lost in this quaint neighborhood. At 10 minutes walk from the hotel you can find the Gostijo a Chabad restaurant. Athens Eleftherios-Venizelos International Airport is 20 km away.